Turkey Day (and Thanksgivvukah) is nearly here. Did you remember to get a gift for your gracious host? The turkey. The pumpkin pie. The festive fall table set for 20. They welcomed you into their home to share a delicious meal they spent all day preparing (you can tell by the flour dusting their face). Don’t they deserve a thank you gift? Etiquette guru Emily Post says a host gift is only for the host or hosts — not the entire party. However, if you want to contribute to dinner simply ask ahead of time. Find out if the main course goes best with a red or white wine, or if your host has a favorite dessert whether it’s homemade or from a favorite bakery. Or ask if they could use a festive centerpiece. Even better, give them a Thanksgiving gift they’ll use and cherish every year, like turkey salt n’ pepper shakers, leaf napkin rings or a lovely Thanksgiving tablecloth. You could also give them the gift of togetherness (and give the cook time to recoup) with a fun activity family and friends can share. For example, bring the materials for a Thankful Tree everyone can create together. If your holiday schedule is already so booked you don’t have time to bake pies or run to the store for a gift, we’ve got the solution. Dipped autumn berries. Pumpkin-spiced truffles. Turkey cake pops. Sea-salted caramels. 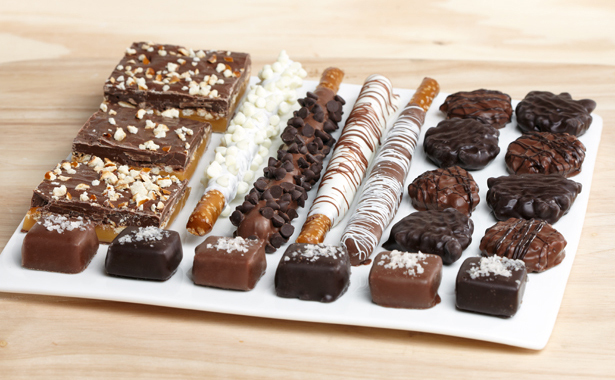 Our Thanksgiving Collection is full of decadent treats we’ll deliver to your or your host’s door, just in time for dessert. Oy Vey, What About Thanksgivvukah? If your trend-savvy host has decided to celebrate the once-in-a-lifetime holiday merger of Thanksgivvukah, bake them some pumpkin-cheesecake dreidels or menurkey cake pops using our cake pop guru Marsha’s recipes. 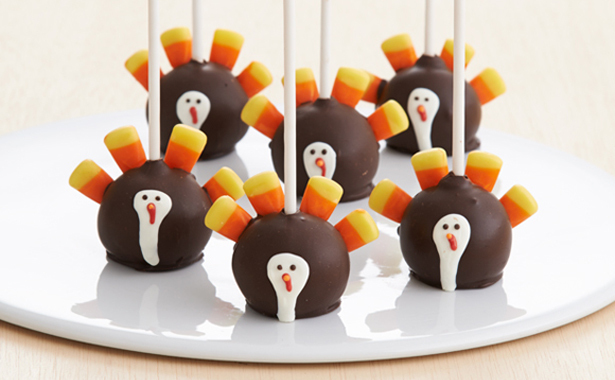 Or better yet just order our turkey cake pops and with a little last-minute decorating — like replacing candy corn feathers with candles — you can easily transform them into menurkey cake pops.